Join us on an hour long round trip to France to practice French actively on stage “sur le bout de la langue” ! 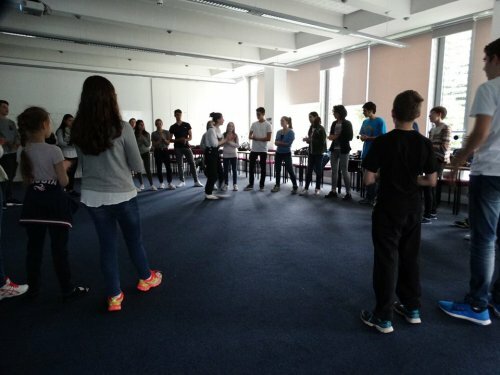 Combining traditional acting techniques to academic language learning, our workshop will focus on accent, pronunciation, vocabulary and building confidence while playing various drama games (Improvisation, Characterisation, Storytelling …)! No need to be fluent or Moliere, no test, no pressure! Gain useful tips and skills to enjoy French outside the classroom! 10 children maximum, so book soon!